Last night we welcomed a veritable who's who of Washington -- including Members of Congress, think tankers, tech policy geeks, and journalists -- to take the wraps off Google's new permanent office here in Washington. And what a grand opening it was. 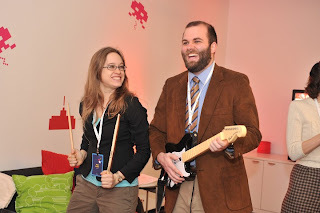 Washingtonian magazine called it "the swankiest 'office' party Washington has seen in years." 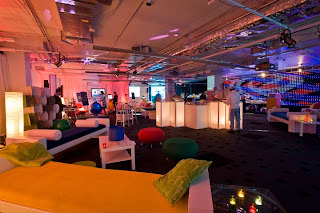 A guest told Politico it was "the best reception I've ever been to in D.C." And FishbowlDC wrote, "Washington is abuzz this morning about last night's party in Google's new DC HQ." Beyond last night's amazing fete, we're even more excited that our new office here will allow us to tell Google's story more effectively to policymakers. 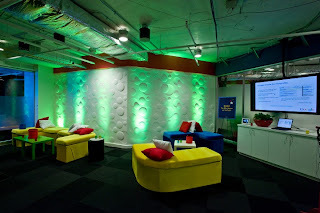 The office includes a large event space for policy talks and seminars, as well as signature Google touches like a massage chair, lava lamps, and a game room (with, naturally, Republican and Democratic foosball teams). This being D.C., our conference rooms are named after "famous" Washington rooms, like the Situation Room, Cabinet Room, and of course, The Secret Undisclosed Location. And we're proud that our new office is in one of the newest "green," LEED-certified buildings in Washington. To see more of our new office, check out the photos at CNET and Tech Daily Dose. And for you D.C. denizens, maybe we'll see you over here for lunch one of these days. I want to work here someday! Welcome to DC, enjoy the commute...it's a real hoot.